This article explains how to resolve the BarTender issue that prevents the license service from starting. BarTender license service will not start. The error “Seagull License Server service terminated with the following service-specific error: The system cannot find the file specified” is logged into Windows Event Log. 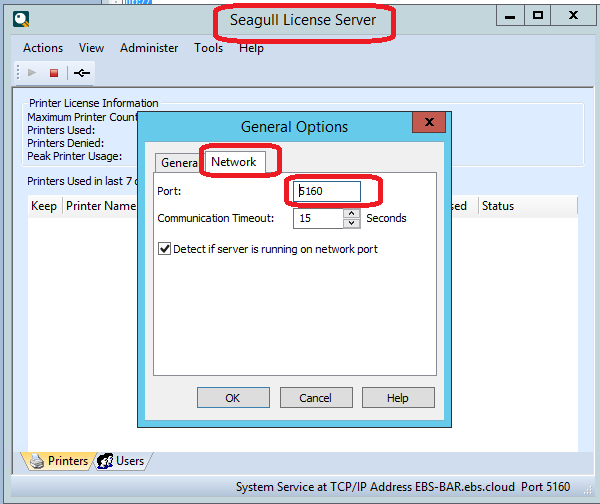 This problem is caused by the fact that there are more than one Seagull License Server running on the same subnet. Use the Tools/General Option/Network to change the TCP/IP port number. The default port is 2560. You can use 2561, 2562 as alternate. Once changed, the service should be able to start. With this change, you will also have to change the configuration at the BarTender Designer – Administer / Licensing Setup and change the port to match the on on the server.